RADIO listeners know what a nuisance it is to try to talk over the phone while the radio is running full blast. 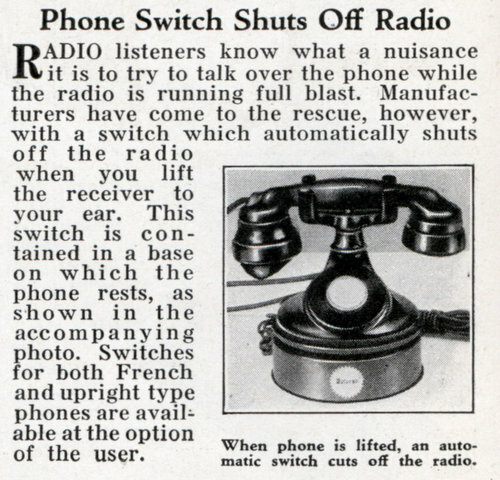 Manufacturers have come to the rescue, however, with a switch which automatically shuts off the radio when you lift the receiver to your ear. This switch is contained in a base on which the phone rests, as shown in the accompanying photo. 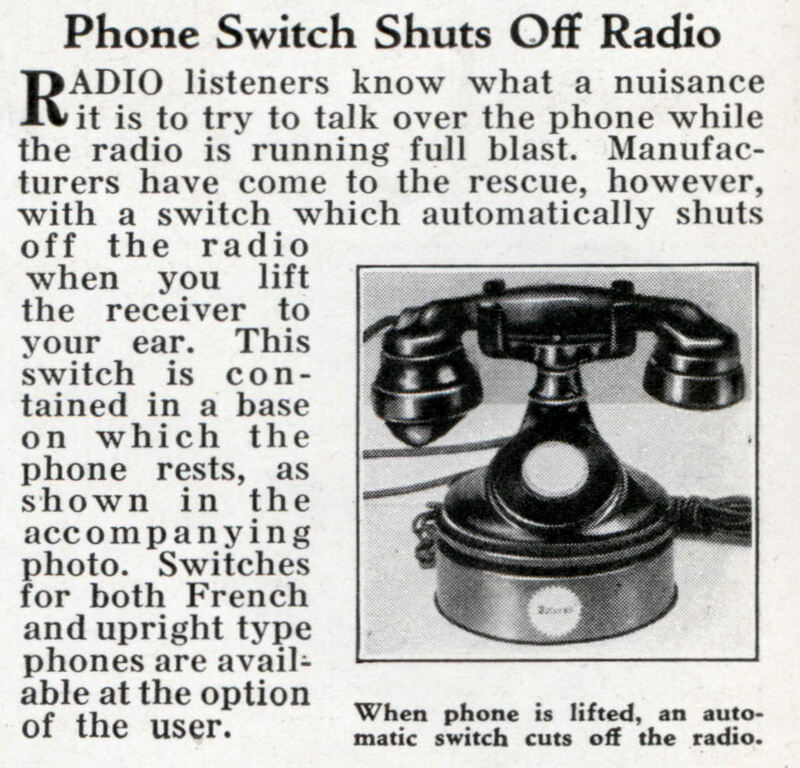 Switches for both French and upright type phones are available at the option of the user.